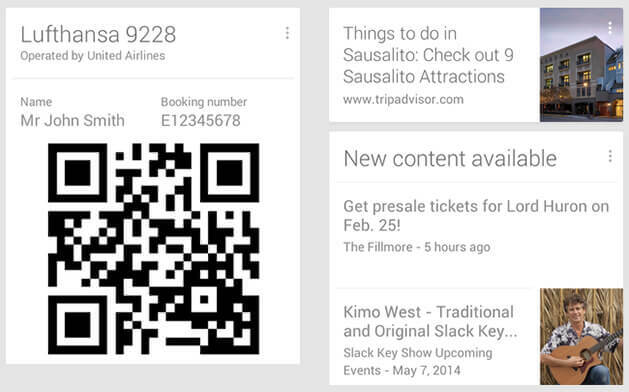 The Android Community reports a two new features added to Google Now. The main new feature is that Google will suggest alternative flights or options when your flight is delayed or cancelled. If Google detects your flight is delayed or cancelled, Google “can suggest alternate routes or flights from other airlines that will eventually get you where you need to go,” says Ida Torres from The Android Community. Google Now will also show you things to do when your flight is delayed according to Engadget. It uses FieldTrip to power that software.